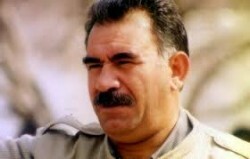 The leader of the PKK (Kurdish initials for the Kurdistan Workers Party), Abdullah Ocalan, is now calling for a permanent ceasefire with the Turkish government and an end to the decades long struggle in fighting for the Kurdish minority in Turkey. Such ceasefires have been called before, only to fail. But this time seems to be different. The Turkish government is writing up a new constitution that will recognize the Kurdish and other ethnic minorities. The new constitution will give these ethnic minorities the right to conduct schools in their own language, complete freedom of the press, and even representation in the Turkish government. For the PKK, it is an opportune time. More than that, Turkey itself is making its influence felt throughout the Middle East, albeit in a quiet manner. Strangely enough, there is brisk trade going on between Turkey and other countries in the Middle East like Jordan, Saudi Arabia, and a number of the Arab Gulf states. Just as equally important is the brisk trade and Turkish influence gaining ground in the Kurdish part of Iraq. Ironically, the Iraqi Kurdish have a good opinion of Turkey, and they see Turkey as a counter-weight to the growing influence of Iran. This is why the Iraqi Kurdish regional government is trying to discourage, or even stop, PKK attacks into Turkey itself. Not just Turkish-made products have been flowing along truck convoys throughout the Middle East. Foreign goods from outside the region have been going through Turkey and reaching other Arab countries as well. Hence, the whole situation has become a win-win scenario for Turkey and its neighbors. Because of this, the Iraqi Kurdish regional government has been urging the PKK to end its fight with Turkey. The Iraqi Kurdish government has some influence over what the PKK does—most PKK operational bases against Turkey are located in the Kurdish part of Iraq. Over the past five years, the Iraqi Kurdish regional government has been doing what it can to discourage PKK attacks into Turkey. The Turkish government has been reciprocating by increasing trade and other services (such as importing oil from the Kurdish region of Iraq) to the Iraqi Kurdish government. Clearly, Turkey is trying to become a powerbroker in the region. This suits many of the Arab countries in the region—they fear Iran’s growing influence in Iraq and in the Middle East and want a counter-balance to it. But Turkey must now try to deal with the problem of its own Kurdish minority within its own borders. This is easier said than done considering how many Turkish officials in high places who do not want to see the Kurdish gain equal status in Turkey. But if Turkey is to become a true regional power, it must first resolve it own ethnic minority problem.